Have questions about licensing / leasing beats? Our most frequently asked questions are shown below. Have a question that’s not answered in our FAQ’s? Please send an email to our customer service team. How Do I Purchase Beats? If you have any valid coupon code, you can apply the code by either clicking the red ‘enter coupon code’ button in the regular beat store, or clicking the icon with the 3 stripes in the mobile beat store and then clicking ‘apply coupon’. Coupon codes are applied to the total amount of all items selected and also work on bundle deals. You need to use the coupon before clicking ‘BUY NOW’. I Have Bought A License But Haven’t Received It Yet? If you have used the instant delivery store on our page, you will have received your orders instantly within seconds after payment to your PayPal email address. In case you don’t find the email with the download links in your inbox, please check your spam folder! If you’re still having issues please send an e-mail concerning your purchase and issues and we will respond within 24hrs. Can I Change Beats After Purchase Or Get My Money Back If I Don’t Like Or Use Purchased Beats? There is a strict NO REFUND policy on digitally delivered products, see terms and conditions. All items marked for sale on this website and marketplaces we offer our products, are for digital download only. We do not deliver any physical goods to you for purchases. As a result, all sales on digital downloadable goods are final and we cannot offer a refund for something we cannot take back. In rare cases of duplicate purchases, or other rare circumstances, we will match what you paid with an item of equal or similar value. By making a purchase you have agreed to these terms and conditions. It is therefore also not possible to change beats afterwards if your license document has already been issued. 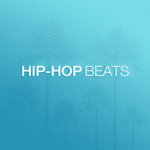 All beats can be heard and downloaded as tagged versions before purchase. The beats are also audible in the store. You need to take care and make sure that you order the right beats! Can I Still Use Beats I Have Licensed After The Exclusive License Has Been Sold? YES! As long as you stay within the concerned license terms, you are allowed to use your license even if exclusive license is no longer available and have been sold to the beat(s). Selling our exclusive license does not affect any previously sold licenses. I Have Bought The Exclusive License. May The Beat Be License Out Again Or Has It Been Leased Before? Once a beat is sold exclusively, we are no longer allowed to sell a license to that beat. It may be possible that a beat has been leased to several persons before it has been sold exclusively. Can I Re-Sell The Beat(s) After Purchasing A License? NO! You are NOT allowed to re-sell the beat(s) or transfer your license-rights to the beat(s) to a third person. Can A Sold Beat Be Removed From The Page? On demand, we can take the sold beat(s) off our sites if the customer has purchased Exclusive License. Licensed beats stay on the page since they are non-exclusive licenses. How Do I Give Proper Credit? Proper credit is given as follows in written form: ‘Beat by LiL Medic’; ‘Beat produced by LiL Medic’; ‘Beat by LiLMedicBeats.com’. Downloadable files need to include ‘(Prod. LiL Medic)’ within the filename. All displayed and uploaded content needs to include written credit in either the title or description. Hard copies such as CDs, LPs, etc. need to include written credit in booklets, covers or labels. I Don’t Have Any Money To Buy Beats, Can I Get A Beat For Free And Pay You When I Make Money? No, that is NOT possible. If you want to sell your music over our beats, we require that you pay for a license. Simple and fair! Especially when all our non-exclusive licenses come royalty-free and allow you to earn 100-10000 times the amount you spend for a beat-license. A leasing rights license is just about as cheap as a meal and drink at a restaurant. If you want to make it in the music industry, invest in your music! What Happens To Someone Who Violates Against Your Terms? If someone does not have a license to use our beat(s) on commercial or profitable mediums, or violates the terms stated in our license agreement WE WILL definitely be taking legal action. Anybody found to be abusing the privileges and terms & conditions on our sites and marketplaces will most likely face criminal punishment for copyright-infringement. I Think I Know Someone Who Stole Your Beat(s)? In general this means that the beat most likely has already been sold exclusively and is no longer available for any form of future licensing. If the beat is not listed in the store on our website, you can be 99% sure that this is the case. However, it may be possible that we have produced beats exclusively for certain artists or marketplaces, that are not being offered for sale on our website. Please send us an e-mail so we can give you an update on the status of the beat! Please do not take it personally if we have not gotten back at you. We will definitely listen to all sent material but often there is no time to give feedback or get back at you quickly since we receive large amounts of songs and requests daily. It’s hard to get back to everyone asking for feedback while handling business. If you need further information you can email us any time and we will get back to you within 24hrs.